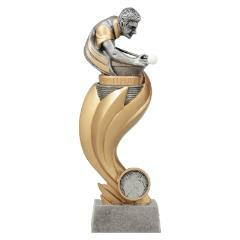 So, you have a tournament coming up and you want to get just the right award to acknowledge the champion efforts that have gone into the preparation prior to the victory. 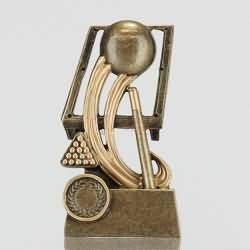 At AwardsandTrophies.com.au you'll find an extensive range of pool trophies, snooker trophies, billiards medals, budget cups, custom medals, perpetual trophies, honour boards and much, much more. 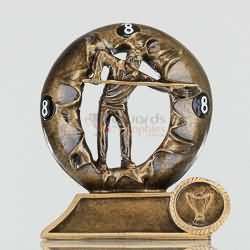 At AwardsandTrophies.com.au, you'll find an extensive range of pool trophies, snooker trophies and billiards medals with your choice of ribbon colour. 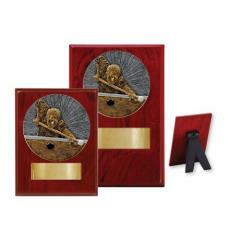 You’ll also rack up the savings by shopping in bulk for billiards, pool, or snooker awards – remember, it’s a $9.90 flat rate for shipping anywhere in Australia, so the bigger your order, the better it works out for you. 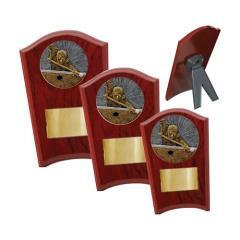 Enjoy your browse, have fun ordering and thank you for visiting us at AwardsandTrophies.com.au!